For those desiring to become certified law enforcement officers, BCAT Consulting offers recruiting services aimed at setting you up for success in the pursuit of your dream. 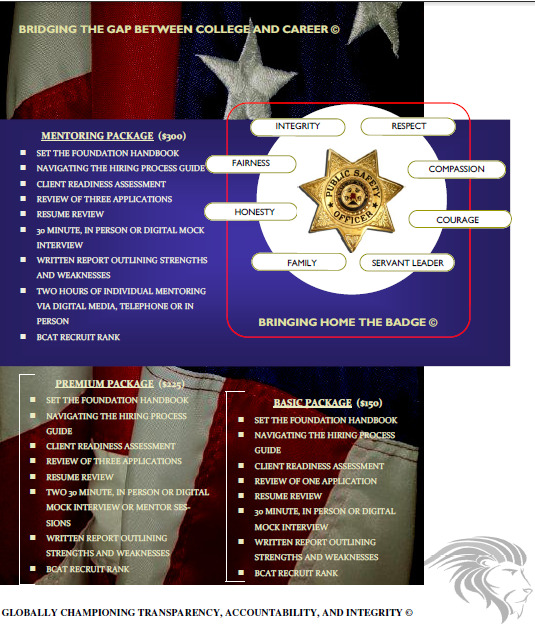 From assessment tools to one-on-one mentoring, BCAT Consultants will draw upon over 80 years of law enforcement experience to help you reach your goal of Bringing Home the Badge ©. With a wide variety of packages, prospective clients can choose from services that meet their needs and help their dreams come true. Below you will find links to law enforcement job listings.